Poised loftily in the heart of Tsimshatsui, Hong Kong's most vibrant shopping, business and entertainment district, The Royal Pacific Hotel & Towers comprises 673 tastefully decorated guestrooms and unrivalled suites, affording breathtaking views of Victoria Harbour and Kowloon Park. With its central location atop China Hong Kong City complex, the hotel is in close proximity to the MTR station and legendary Star Ferry with the China/Macau Ferry Terminal only an elevator ride-away. 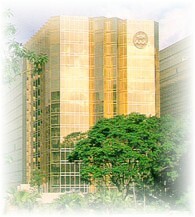 The Royal Pacific Hotel & Towers boasts three food and beverage outlets which serve Chinese and Western cuisine. Other facilities include the Royal Executive Club, conceived to provide personalised service and optimal comfort for business travellers in a private haven within the hotel; a well-equipped business centre, fitness centre and squash court.